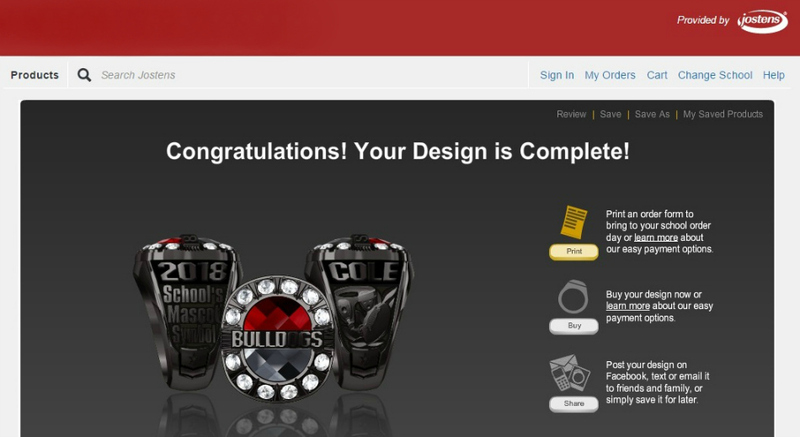 If you haven’t looked at class rings in a while, prepare to be amazed. Seriously. I had no idea there were so many options available! 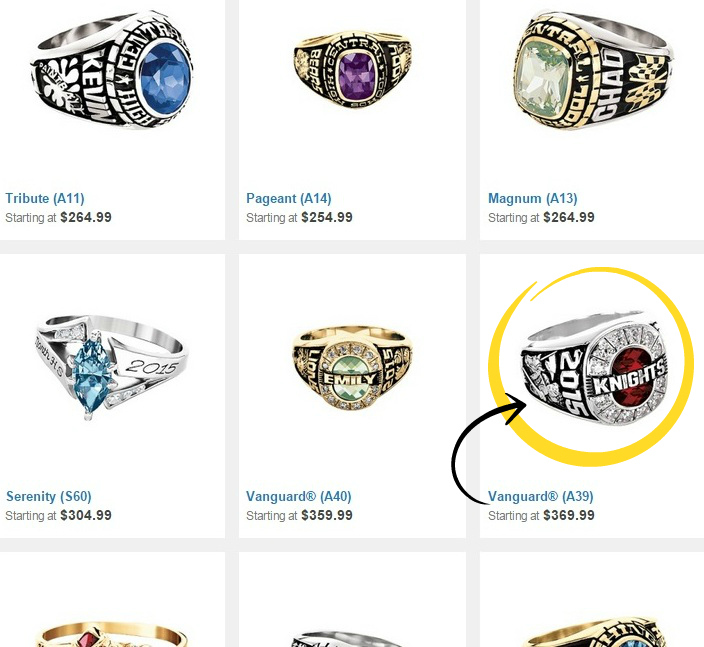 I have two sons who are currently in high school so I decided to go shop around on Jostens.com and see what was available for them. There were a ton of rings to choose but I narrowed my choice down to the Jostens ShadowCast Rings Vanguard A39. I thought it looked like a ring you might get if you won a championship. Cool! 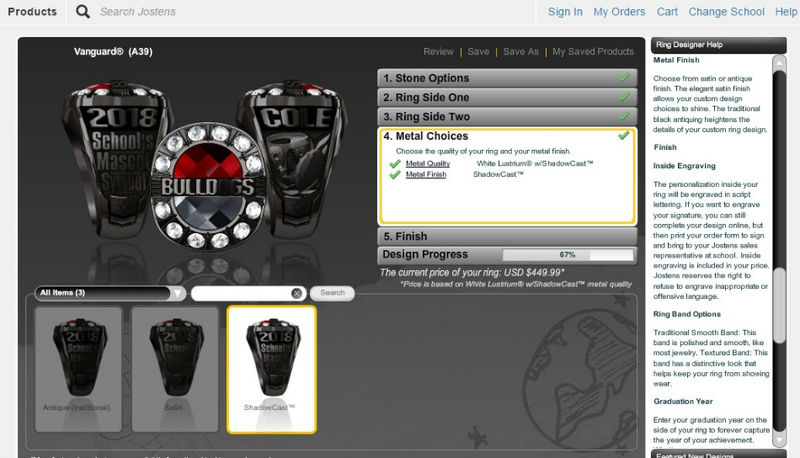 After picking the ring, you get to customize it. Go try it! It’s fun! Look at this! You can get two different colored stones in the ring if you want to. Isn’t that cool? That way you can show both of your school colors. My boys’ high school has a really long name so I went with their team name instead. 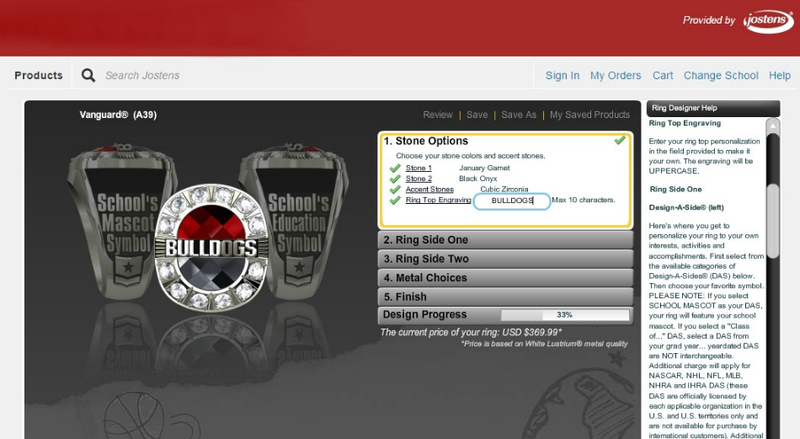 Their bulldog mascot is super cool, so I opted to have that on one side of the ring along with the graduation year. This is when my youngest son popped into the room to see what I was up to. I showed him the ring that I was designing for him. He loved it so far! When he saw that I put the mascot on one side of the ring he was concerned that there wouldn’t be enough room to add his two sports. That’s when I showed him my favorite feature of the ring. There is an option to add “Multi-sports” to one side of the ring. If you have a multi-sport kiddo, this is perfect! There were a lot of options. He’s in football and wrestling, so we picked that and added his name. He was thrilled! There are many metal choices too. We decided to try the new ShadowCast finish. It’s so unique! 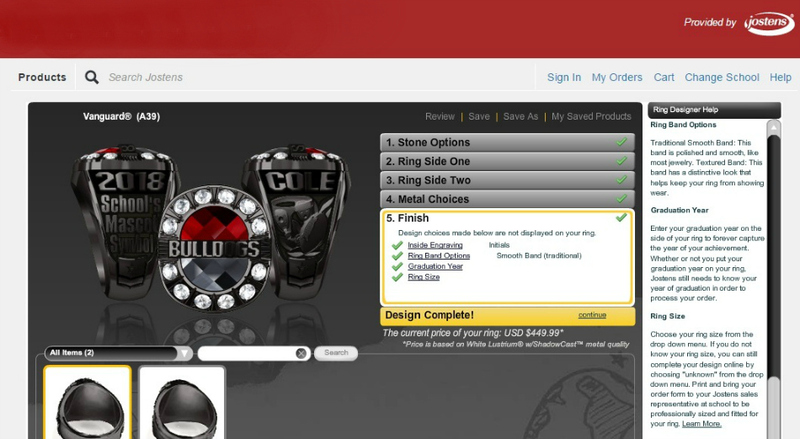 I was so impressed with all of the choices you could make to customize the ring. Your ring doesn’t have to look like anyone else’s. I love that you can really make it unique to your high school sports, interests and accomplishments. You could even design a ring together with a group of friends/classmates/teammates. Wouldn’t that be cool? To share matching rings with a group of friends? I’m in love with that idea. I added his initials on the inside and choose a smooth band. Well, I should say “we” because my son stayed with me and we did this together. It was a wonderful opportunity to talk about his interests and plans for high school and after. We even talked about how one day he’ll pull his high school ring out and show it to his children. 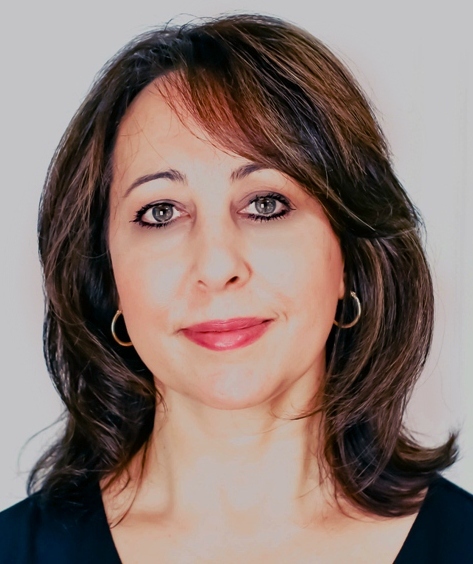 (Tears…hearts…Mom moment!) I highly recommend that you grab your high schoolers and do this with them. It’s fun to see what they choose, especially with all of the options. 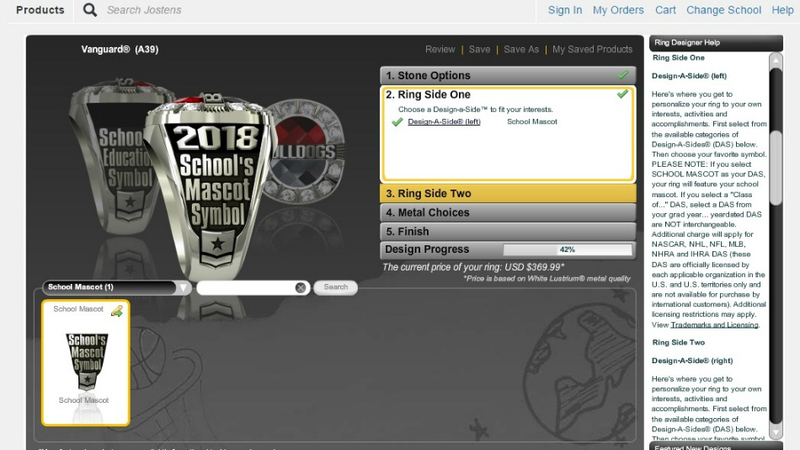 I honestly think that someone who wasn’t planning to get a high school ring will change their minds after taking a look at how customizable they are. Now I get to sit with my other son and see what he designs! Go to ShadowCast rings by Jostens and see all the great rings. Which ones will you (or your high schooler) pick? What’s your favorite?